He reveals why he got so buff and how he transitioned to acting. camera (Michael Tran/FilmMagic/Getty Images) Dwayne Johnson speaks onstage at the Paramount Studios presentation Cinemacon 2014 held at The Colosseum at Caesars Palace, March 24, 2014, in Las Vegas. 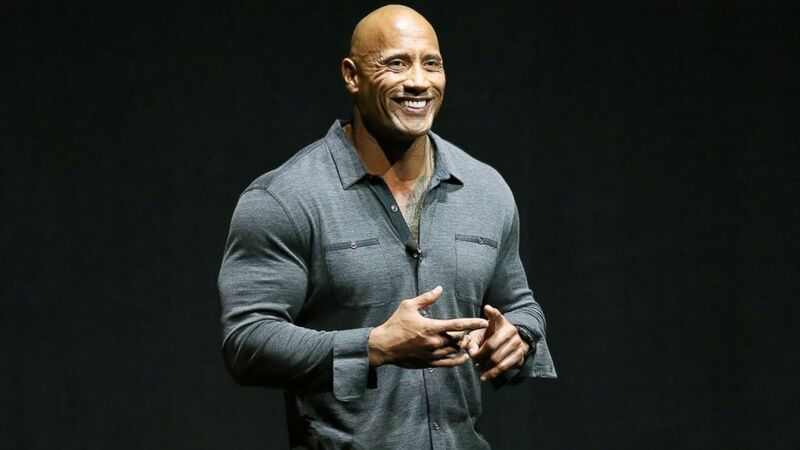 Last year, Dwayne Johnson's films made a staggering $1.3 billion. However, 19 years ago, that kind of a lucrative career was far beyond anything he could have imagined. After getting hurt playing football in college, Johnson gave up his NFL dreams, instead signing with the Canadian Football League's Calgary Stampeders. Living in a two-bedroom apartment with three of his football teammates and sleeping on a mattress he found on the street, Johnson wasn't sure things could get worse -- and then he was cut from the team. "There was no injury. It's just, 'That's it. You're not good enough.' That was very sobering" he told the Hollywood Reporter, adding that the stress also led him to break up with his girlfriend, Dany Garcia, who would go on to be his ex-wife. "The dreams I had, they're dashed. There is no more football. My relationship was crushed. That was my absolute worst time." However, he'd been through hard times before. Growing up with a mother and father who struggled to make ends meet, Johnson decided to begin body-building in an effort to maintain a sense of control. After his football career ended, he went into wrestling, adopting the moniker, "The Rock." Then, after a successful experience hosting "Saturday Night Live," he began acting--though he's tried to tweak his image over the years. "I was told that I had to conform to a standard in Hollywood that would beget me more work, better roles," he said. "Which meant I had to stop going to the gym, which meant I couldn't be as big, which meant you had to distance yourself from wrestling. You essentially had to deconstruct yourself." Now promoting his latest movie, "Hercules," Johnson is looking forward to his next chapter. "I grew up where, when a door closed, a window didn't open," he said. "The only thing I had was cracks. I'd do everything to get through those cracks — scratch, claw, bite, push, bleed. Now the opportunity is here. The door is wide open and it's as big as a garage."